For most businesses – especially professional service providers – hosting live events is a great marketing tactic. Live events showcase your expertise, build stronger relationships with your customers and prospects and set you apart from your competitors at the same time. But while the positives of hosting a workshop or seminar are clear, there is one great pitfall: It is a real challenge to fill the seats! Call existing customers. Don’t stop at prospects; make sure you call existing clients about your event, too. They might want to supplement the work they are already doing with you. Assuming they are happy with your service (if they aren’t why are you calling them? ), they will likely be happy to invite others on your behalf. Distribute a flier. Prepare a flier with a bold headline that directly addresses the big problem you are offering to solve. Include the date, time, place, cost and how to register, and also provide your phone number, email address and website. Offer early registration Incentives. Early-bird discounts are standard fare for business events for good reason: they work. Giving away books, memberships or other value-adds are popular registration incentives. One that we have had good luck with is a complementary hour of consulting for the first few to sign up. Of course, discounts are always great for paid events. Look for event hosting partners. Strike alliances with businesses that provide different services to the same target market. 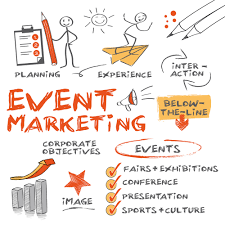 Jointly marketing your event gives them a way of offering value to their circle of clients and prospects at no cost to them. Offer an incentive for every person who registers as a result of your partner’s help. Put these tips to work for your next event and happily watch those seats fill up!